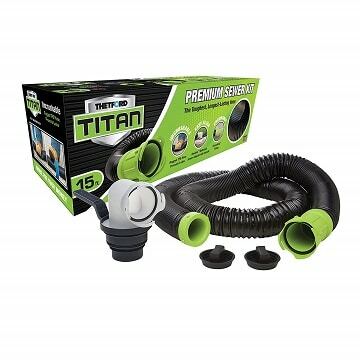 In the following guide, we aim to answer that question by offering an in-depth review of the best RV sewer hoses currently on the market and a detailed analysis of what goes into the making of the ideal RV sewer hose for every type of RV. Let’s start off with our top picks of the best rv sewer hoses per category for 2019. 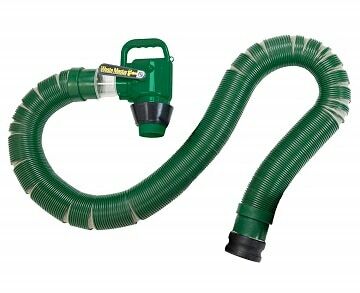 Do You Really Need An RV Sewer Hose? What Are Sewer Donuts, And Do I Need One? How Long Does A Sewer Hose Last For? When Should I Replace My RV Sewer Hose? How To Mount Your Hose And Secure It From Moving Or Slipping? How To Clean Your RV Sewer Hose? Lippert won the gold in this race. While they’re the higher-tier priced item on this list, it offers the most value, and the most sanitary, yet still hands-on method to managing your sewage. The big ticket here is the simple Waste Master valve and handle, which help to keep the process quick and easy with minimal intervention required. It also features a CAM lock, for a bit of fortification so you know you won’t spring a leak. That affixed nozzle is going to prove difficult when it comes time to store your hose, unless you have a compartment in the bottom of your tank for it. The accordion-style hose folds up to less than 1/3 the full size, and while that’s impressive, just note that it takes a bit of force to expand and recoil it. That being said, you get the widest range of operating temperatures on our list, as well as UV protection to ensure that the sun’s rays won’t harm or discolor your hose over time. The hull is also puncture proof, so little mishaps won’t be such a big deal. Last but not least, it landed up here for another key reason: it features a secondary interior wall. Despite the accordion-style exterior, the interior is a smooth material, so waste and your gray tank water will flow through it without getting stuck in the crevices. The runner up in this race comes with a good length and a lowered price, but it’s not just about saving cash that had our eyes on this one. Valterra is one of the highest-rated sewer hoses on the market; it was a very close call against Lippert for the top spot. This 15’ hose can recoil down to just 5’ long, making storage an absolute breeze. The accordion-style exterior is also UV-protected to keep the sun’s rays at bay. All of that power, and at an extremely lightweight construction. This thing weighs less than five pounds, yet packs the strength of 23 mil poly, a highly durable exterior that resists leaks and helps against extreme weather, both hot and cold. Despite that strength, it gets tired after about two years, and most users report it cracking or splitting on them around their third year of use. Apart from that, our only other gripe is that the unique hose head is tough to apply to most collars for your gray and black tanks. Between the operating temperatures and durable construction, this low-cost RV sewer hose will hold up for a few years. Thanks to the slick interior, a gray tank flush should keep this properly clean to be put back into storage as well. Thetford’s Titan is a straightforward product; an excellent alternative to the other two we listed above. First and foremost, this model is crafted of TPE: a material that retains its shape and bounces back after it’s been stepped on or crushed. While you won’t be experiencing any leaks with this product, you will have a bit of a fierce time after getting it out of the packaging. The way that Thetford packaged it keeps a few bends in the hose. Even when you coil it back up, it still pulls to different angles. Regarding coiling it up, this 15’ hose doesn’t have an accordion-style exterior, so you’ll have to use force to get it down to half its standard size just to store it. It does come with caps for both ends, as well as an adapter for the sewer connection on the ground. Simple to attach, built with a 5-in-1 hose end to accommodate many different RVs, and works well on a 3” collar on your tanks. Altogether, a great hose with a few minor gripes. Last but not least, you knew Camco had to be on this list somewhere. This RhinoFLEX 20’ hose is actually two 10’ hoses in the same kit, which can be used to extend one another. These recoil down to a total of 3’3” each, making it excellent to travel with. While the plastic exterior and steel wired interior are excellently built, this unit doesn’t have an overall good grip on your collar. There’s low pressure resistance, meaning you’ll need to keep your eye on this to ensure it doesn’t pop off. Setting it up, connecting it and running its course is admittedly lengthier than we’d like. You still get Camco’s excellent price, a 4-in-1 adapter and end caps, but it just didn’t hit every mark that we hoped for. Takes a bit longer to empty your sewage, and requires more attention than other hoses. We’ve seen some RV parks during our travels where you just pull up, park over it, and let the chips fall where they may. However, those have quickly disappeared and are replaced with much stricter methods of dumping your waste. If you don’t have an RV sewer hose, you’ll have to find a way to manually release your waste into appropriate containers, bring it to a local waste processing facility, and possibly have to pay a drop-off fee anyway. Sounds like a lot of hassle with little reward. In our opinion, an RV sewer hose is absolutely necessary if you want to use your RV, even just part-time. 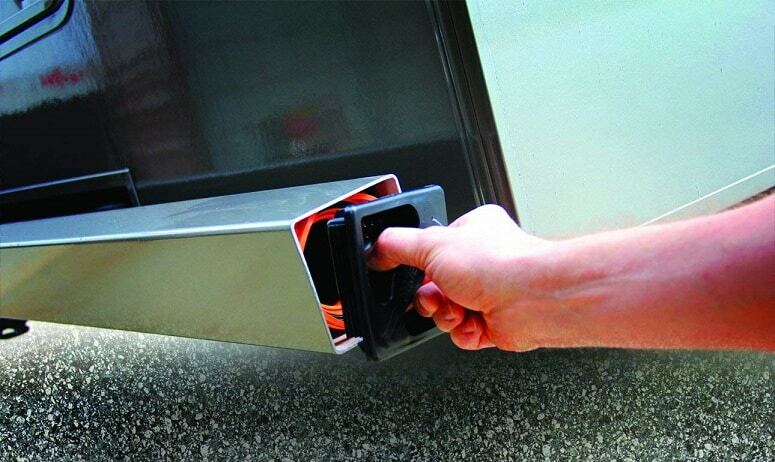 Even if you’re just using it to travel from point A to point B, you never know when mother nature is going to call, and you’ll end up using the waste system in your RV anyway. You need a sanitary, simple way to clean out the tanks. You need an RV sewer hose if you’re serious about putting in some miles. 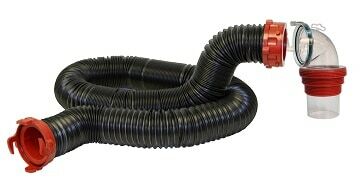 Wondering what possible different types of RV sewer hoses could exist? There are subtle differences between them, and while you’ll see a pattern in the four we’ve chosen for this guide, you’ll still need some of this information if you ever go about buying a new hose in the future. For starters, a Y-bend hose is a series of two hoses that meet at a single adapter and flow into the donut, or directly into the sewer cap in the ground. These systems usually uses 1.5” or 2” hoses, and require a bit of cleaning beyond just what we outline in the guide below. Then there are extendable hoses, which are among the best choices. Even if you could park your RV with your eyes closed, sometimes the sewer hookups at an RV site aren’t really logistically placed. You’ll need as many feet of hose to get from the tanks to the spot in the ground as possible, and they also fold up easy for simple storage. Then you have, quite simply, cheap hoses versus quality hoses. While that point sounds completely arbitrary, there are plenty of extremely low-cost or single-use options out there that are designed to fail within a few uses. Even if it saves you money, nobody wants to run into a problem with accidentally dumping sewage where it shouldn’t be dumped, and potentially paying a fine for the incident. We’ll discuss some of these in-depth as we go on in the guide. 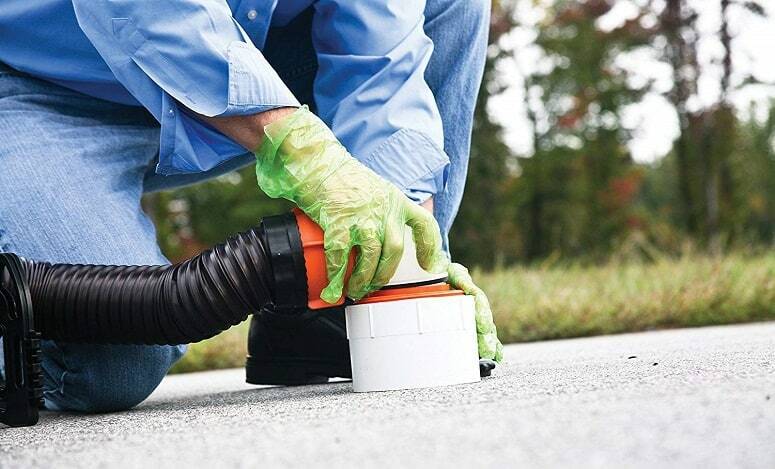 Sewer hose attachments allow you to make better use of your hose, and in some cases make the job a lot less invasive. Let’s go over some of the attachments and what they offer you. While these technically go onto the tank instead of your hose, they make using your hose a lot easier. Using an expanded, 3” tank collar allows you to flush water after emptying your waste, which cleans your pipe for you. 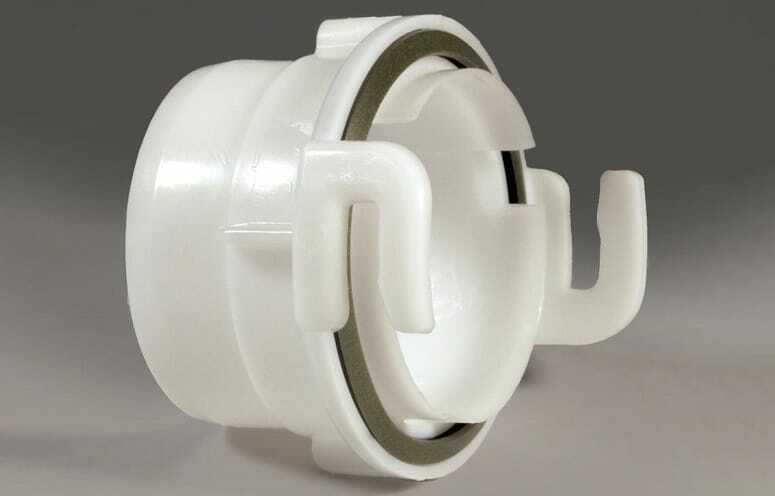 These collars can usually be installed in a few hours, and cost relatively little to no money (think the average going rate for quality PVC piping). If you find the perfect hose for you, but your RV and its specs don’t agree with it, something can be done about it. Grab the right adapter, and you’ll be able to use just about any hose with any set of tanks on your RV. You’ll want to consult your make and model before just grabbing an adapter, and strive to find a solution that doesn’t require you to make an additional purchase if it can be avoided. These are quick, easy ways to simplify the entire process. A proper twist-on valve makes everything a bit safer, and can usually be picked up for under five dollars (if you know where to look). They mainly provide stability for your hose. A sewer donut is essentially a plastic stabilizer that prevents your hose from leaking sewage. Pressure can build up in the hose and cause bursts of force, which can cause you to lose grip on your hose when emptying sewage. Though most of these issues can be prevented with due diligence and a sturdy grip (as well as ensuring your hose is properly extended), it’s become a necessity. If you’re planning to stay at a few RV parks here and there as time goes on, you’ll definitely need one of these. Most stations and RV parks require that you have one when you go to empty your sewage. This comes from a short-winded history of mishaps and mistakes from users, and as we all know, a few bad apples can certainly spoil the bunch. Grab one of these just in case you run into a stop that requires them. Typically, any RV sewer hose is designed to last for about two years. However, that’s if you repurchase the same model that came with your RV when it was new, or you find the bottom of the barrel picks that save you money, but don’t offer much in terms of quality. We’ve selected RV sewer hoses that outlast the average. If you go with our top pick from Lippert, it’s designed with such high-quality components (such as UV-protected exterior components and a second layer inside), you can expect five to seven years of use before normal wear and tear eats away at it. If there are any punctures, don’t see to patching them up: get a new hose. While you’ll find a bunch of DIY blogs that tell you, “Patch it with super glue and save money,” this is most certainly not the way to go. When you opt for a cheap solution like super glue or some other kind of sealant, you’re just prolonging the inevitable: a much larger problem than the one you first encountered. A minor leak or puncture is a blessing, because it’s a small, manageable mess that indicated to you that it was time to purchase a new hose. When you use some form of sealant on an old hose, you’re just giving more time for the weak point to be exposed, and become a much bigger problem. One of the most popular mounting options involves leaving the hose equipped to your tank, but storing it in a false metal bumper on the rear of your RV. There are two different ways you can safely travel with your RV hose. For one, if you’re going to choose the bumper-mount option during travel, you’ll want to get a 3/8 drill, and drill one vertical hole from the top of the bumper to the bottom. Purchase a singular bolt that runs about 1/4 an inch longer than the total height of the bumper end. You’ll be placing this through the hole, and a bolt (as well as a washer if you can) on the bottom once it comes out the other side. There are many one-off products out there to help you secure your bumper in this way, but they don’t hold up as well as this solution (and this is available for pennies on the dollar). However, if you’re not keen on doing this, you can always mount the hose underneath your RV where the tank connects. Most hoses, such as our number one pick, can go from their full length (in this case, 20’) down to a much more compact size, usually 1/3 of the total or less. This means you won’t have to secure a ton of hose, you’ll just need a few brackets to hold it in place while you’re driving. This option allows you to keep it connected to one of the tanks, reducing the time spent when you have to dump sewage at a stop. You can purchase conduit straps, or metal semi circles with screw mounts, and find a safe area underneath your RV to mount them. You should use one for every two feet of hose. This is a much more timely solution, though some full-time RVers prefer the way it’s positioned for safety purposes. It’s an endeavor you don’t really want to do, but has to be done. We’re going to look at the best hands-on, low-filth way to handle this with extreme care. Exposing yourself to human waste, especially if the hose hasn’t been used in a while or wasn’t being maintained properly, poses health risks. Let’s take this one step at a time. First off, it’s recommended to grab a box of disposable face masks and disposable gloves. You’ll thank us for it later. Identify the difference between your black and gray tanks. This task isn’t hard to perform, but there is a lot of anxiety that comes with the prospect of messing it up. You can do it, just keep a level head and focus, and you’ll do fine. Start with the ports to those tanks. Dump the black tank first, then the gray tank. Since the gray water is cleaner, it’s going to flush out the hose and remove residual waste left behind. If you know a bit about your RV’s specs, a 3” collar on your gray tank is better than a 1.5” collar. Most RV sewer hoses are designed to fit with 3” systems, and can also work on a 1.5’, but the water pressure and spread doesn’t clean the tank the same way. Clean around the connection point after disassembling. 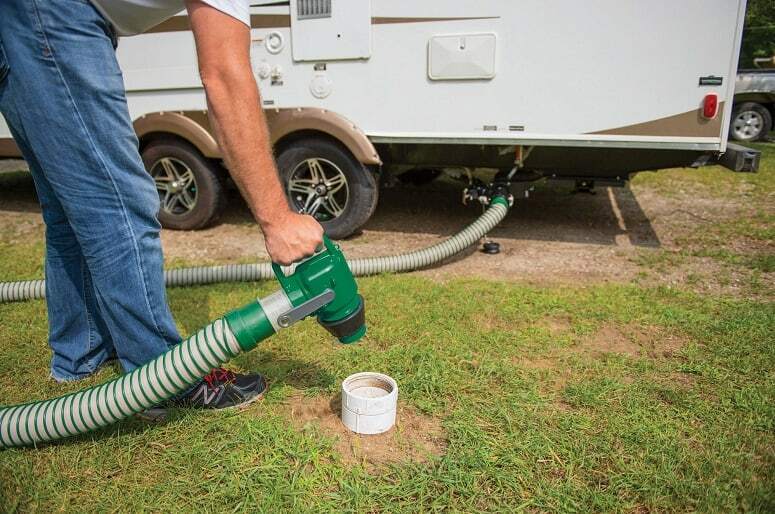 This may seem like a mediocre step, but it’s going to reduce any faint odors detectable from the outside of your RV, and it’s going to keep the end of your hose clean the next time you go to use it. If you don’t clean this spot, you’ll start getting harsh buildup on the ends of your hose, which can cause problems when you’re trying to get a good connection. Now you have two empty tanks, a clean collar on the outside, and the interior of your hose still needs to be cleaned. Even if you have a 3” collar and sufficient water reached all the internal parts of the hose, you still want to clean it out properly to ensure that no odors or bacteria will build while this is in storage. If you’re not certain what your RV specs are, you can always refer to your owner’s manual. It’s best to upgrade your tank collar to a 3” opening. This can be done with a bit of DIY know-how and some patience, and ensures that you won’t be storing a dirty hose. Whether it’s installing the best RV backup camera, weatherproofing your RV, or finding the very best satellite antennas to watch TV wherever you are, we’ve covered just about everything you can imagine. Find the next best piece of tech or technical component to your RV, and run things like a king.